Novellas are short and sometimes sweet and sometimes not sweet at all. A reader does not need to invest much time in a novella, yet the best of these short novels can affect one tremendously. Here are some by female writers which are favorites of mine. See also “A Dozen of My Favorite Novellas Written by Men”. ‘Ethan Frome’ by Edith Wharton (1911) This winter novella is by one of the great United States writers. It also may have scared many off sledding for years. ‘Miss Lulu Bett’ by Zona Gale (1920) I read this book because Zona Gale was born in Portage, Wisconsin which isn’t too far from my boyhood home near Sparta, Wisconsin. “Miss Lulu Bett” was a sensation in the 1920s, adapted into a play, and turned into a high quality silent movie in 1921. Zona Gale was an early feminist, but “Miss Lulu Bett” is a light, playful and still enjoyable novella. ‘Mrs. 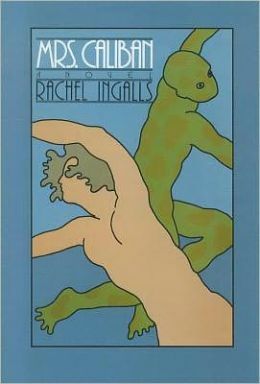 Caliban’ by Rachel Ingalls (1982) In the 1980s, Rachel Ingalls was hailed as one of the best young writers. I’ve read most of her work. Now she has almost totally disappeared from the literary scene, certainly not due to a lack of talent but apparently on her own preference. “Mrs. Caliban” is a bizarre story of an affair between a California housewife and a green aquatic creature named Larry. 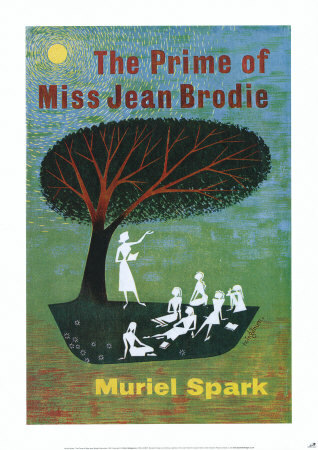 ‘The Prime of Miss Jean Brodie’ by Muriel Spark (1961) No other novella covers as much ground as “The Prime of Miss Jean Brodie” as we follow six girls in the Brodie set from the age of 12 to the age of 18 as well as several teachers at the Marcia Blaine School in Edinburgh. Is Miss Jean Brodie a good teacher or a bad teacher? Interesting question. ‘The Visitor’ by Maeve Brennan (1940s, 2000) “The Visitor” is a dark story of estrangement about a young woman’s painful return from Paris to her home in Ireland. This masterpiece was Maeve Brennan’s earliest work, written in the 1940s but not published until the year 2000. ‘The Bookshop’ by Penelope Fitzgerald (1978) I could have picked any one of several strong Penelope Fitzgerald works that could have qualified as novellas. A widowed woman opens a bookshop, and its success spurs the hostility of the other shopkeepers in the neighborhood. 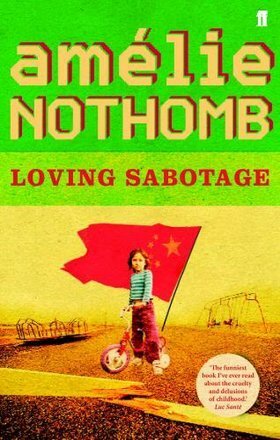 ‘Loving Sabotage’ by Amelie Nothomb (1993) A light-hearted novella about childhood. This is a good place to start (Complete Review gives it an A+) with Belgian writer Amelia Nothomb. ‘Cranford’ by Mrs. Gaskell (1853) – In “Cranford”, Mrs Gaskell writes of an English country village, and she gently but thoroughly satirizes its inhabitants. ‘The Shawl’ by Cynthia Ozick (1989) A pitch perfect story of Rosa and Stella who are locked in a German concentration camp. The story picks up 40 years later when Rosa and Stella are refugees in the United States. ‘The Ballad of the Sad Café’ by Carson McCullers (1951) This is a southern United States story about the mysterious nature of love, the strange personal roadblocks that stand in love’s way. “And the curt truth is that, in a deep secret way, the state of being loved is intolerable to many.” ― Carson McCullers, ‘The Ballad of the Sad Cafe’. 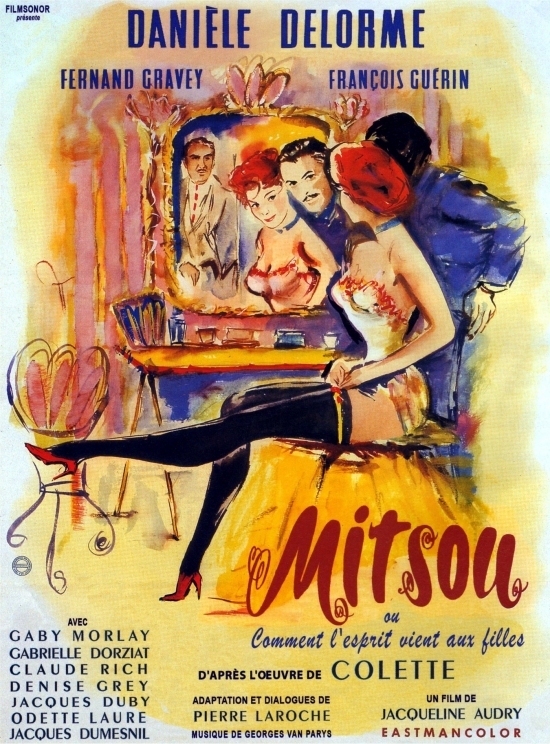 Mitsou’ by Colette (1919) A love affair between Mitsou who is a petite music hall singer / dancer and a nameless lieutenant mostly told in letters and dialogue. Having worked in music halls herself, Colette wrote about what she knew, and her novellas are delightful. ‘Black Water’ by Joyce Carol Oates (1992) This is the Ted Kennedy Chappaquiddick novella. Oates’ obsessions can infuriate, her plot lines can be artificial and clanky, but often her fiction can be interesting and moving in the extreme. I keep coming back to her writing. These are all by women. Men’s novellas will follow in a few weeks.